On Friday, Acting Attorney General Matthew Whitaker will finally appear before the House Judiciary Committee. Committee Chair Jerry Nadler said he would prepare a subpoena just in case Whitaker decides to not answer the committee’s questions, and the Department of Justice responded by saying Whitaker would not appear unless the committee dropped its subpoena threat. 1. How and When Did Whitaker Officially Become Acting AG? On November 7, 2018 (the day after the midterm elections), President Donald Trump announced that Attorney General Jeff Sessions would be stepping down and that his replacement was Whitaker, who was then Sessions’ chief of staff. The presidential memorandum was dated November 8, but stamped as received by the Department of Justice a full five days later. In response to one of American Oversight’s Freedom of Information Act requests, the Justice Department produced the same November 13–stamped document, indicating they had received no order before that date. We want to know more about this gap — and about when and how the nation’s chief law enforcement officer was actually designated to lead the Justice Department. 2. Why Did Whitaker Ignore Official Ethics Advice Regarding the Mueller Investigation? Whitaker refused to recuse himself from the special counsel investigation, which he has previously publicly criticized. Ignoring the advice of career ethics officials at the Justice Department, who concluded that Whitaker must recuse himself from any involvement in the investigation, Whitaker reportedly made this decision on the advice of a team of political advisers. American Oversight has been investigating Whitaker’s irregular decision to not seek a formal ethics determination. 3. How Has Whitaker Been Involved in the Uranium One Investigation? In 2018, American Oversight sued the Justice Department for records related to the department’s investigation of purported FBI misconduct and Hillary Clinton. Then–Attorney General Sessions had reportedly appointed U.S. Attorney for the District of Utah John Huber to lead the investigation of the federal government’s 2010 approval of Russia’s acquisition of a uranium-mining company, which occurred when Clinton was secretary of state. In doing so, Sessions likely violated his recusal from participating in matters related to the 2016 election. Documents and filings made public through this litigation reveal that Whitaker had direct knowledge of the decision to appoint Huber, and that the Justice Department misrepresented to Congress how many prosecutors it had assigned to the investigation. If Whitaker were involved, it makes even clearer that he should have recused himself from overseeing the investigation into matters related to the 2016 election. Separately, it was reported in early January that Whitaker had discussed Huber’s investigation with former Attorney General Edwin Meese, and we’re looking into the extent to which Whitaker discussed such official and potentially sensitive matters with Meese, a private citizen. 4. Why Were His Financial Disclosures Delayed and Incomplete? It wasn’t until November 20, 2018, that Whitaker’s financial disclosure forms were finally released to the public, after American Oversight had sent a letter to the Office of Government Ethics and submitted FOIAs for them. On the forms, Whitaker failed to include a significant asset: a nearly $50,000 personal loan, still outstanding, that he made to his 2014 senate campaign. We sent a letter to OGE, calling for an investigation of this omission, which could call into question the completeness of those forms. 5. Did Whitaker Violate the Hatch Act? In early 2018, Whitaker’s Senate campaign committee received political contributions totaling nearly $9,000. The receipt of these funds four years after the election, while he was serving as Sessions’ chief of staff and no longer running for office, appears to be in violation of the Hatch Act, which prohibits government employees from engaging in political activity while collecting a taxpayer-funded salary. American Oversight sent a letter to the Office of the Special Counsel (not Mueller), calling for investigation. OSC responded by saying it had opened a case file to address the request. 6. What Is Whitaker’s History with a Company Accused of Fraud? 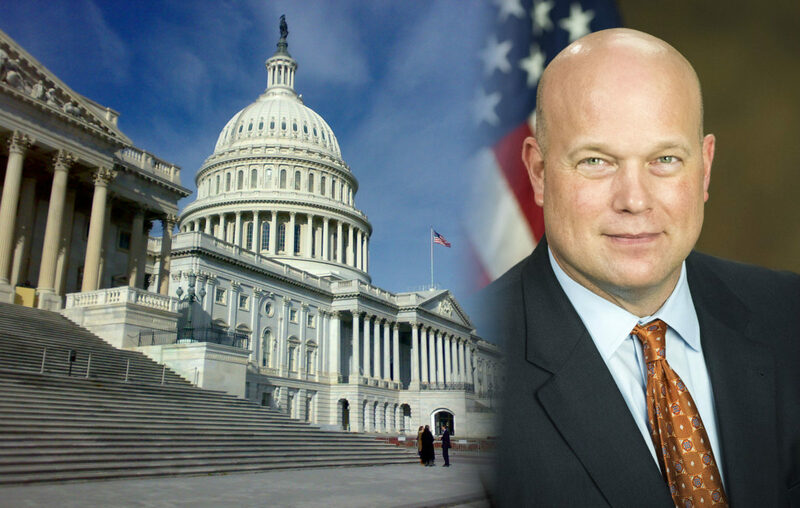 Whitaker formerly sat on the board of World Patent Marketing, a company that was shut down by the Federal Trade Commission in 2017 for defrauding investors. American Oversight obtained records that show that Whitaker was routinely added to emails with dissatisfied customers, and in one instance touting his experience as a U.S. attorney and accusing a client of attempted blackmail. The documents also show Whitaker having failed to follow up on a subpoena he received from the Federal Trade Commission regarding World Patent Marketing.